On May 27, Meb Keflezhigi will race at the Vermont City Marathon. 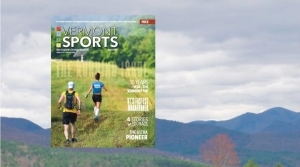 He’ll run alongside Vermonters with equally inspiring stories. is 5 feet, 5 inches. His marathon race weight hovers around 121 pounds and he has never weighed more than 138. Growing up in Eritrea, one of ten kids in his family, Keflezhigi didn’t see a car until he was 10 years old….